This document explains how to use the Execu/Suite Report Generator to export Tab Delimited data that you may import into Microsoft Excel® or other programs. 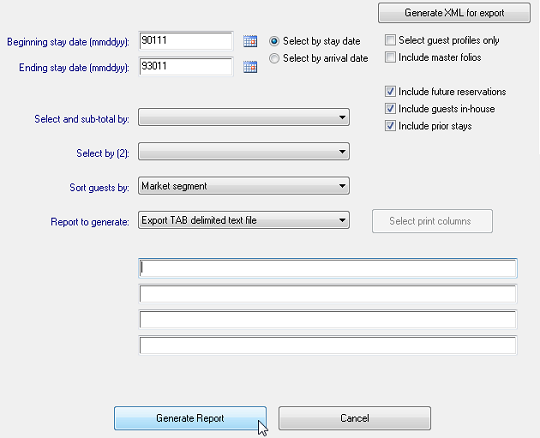 You also can use this program to print reports. Enter the dates and sort parameters. In the "Report to generate" drop-down select "Export TAB delimited text file". Click Generate Report. 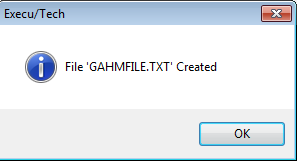 When the file is created you will see a message stating that the file GAHMFILE.TXT has been created. This is the file you will import into Excel. The file will be located in your ExecuTech hotel folder on the server. If you are not sure where this is located, look at your lower left Execu/Suite screen for the path to the hotel folder. You will launch Excel to import the GAHMFILE.TXT file. The following instructions and images are general; your version of Excel may be different. 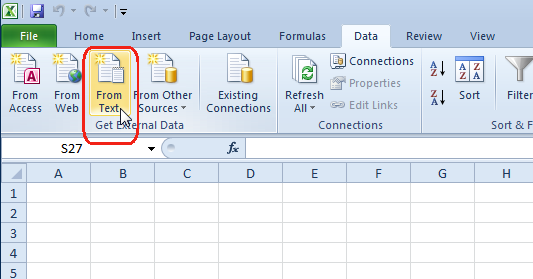 Use the Help feature within Excel if you need further assistance. 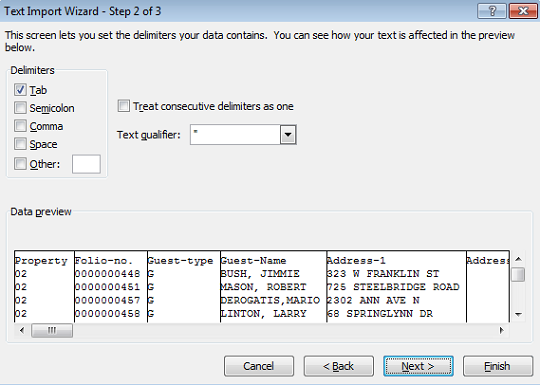 In Excel, Select Data > Get External Data > From Text. At the prompt, enter the file name GAHMFILE.TXT. The location will be your ExecuTech Hotel folder. Click Open. When the import windows open, select "Delimited" and then click "Next". Select "Tab" and then click "Next". 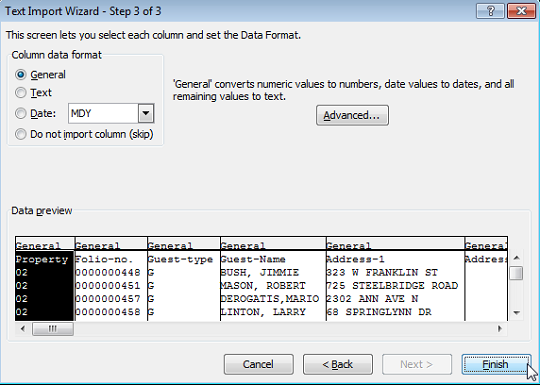 If you do not wish to import all columns, select "Do not import column (skip)" under "Column data format" options then select columns to skip and click "Next". When you have the columns you wish to report, select "General" under "Column data format" options and then click "Finish". You are finished. 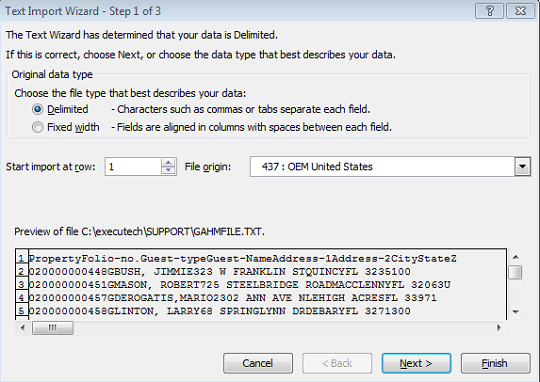 You may use the data however you wish within the parameters of Excel.